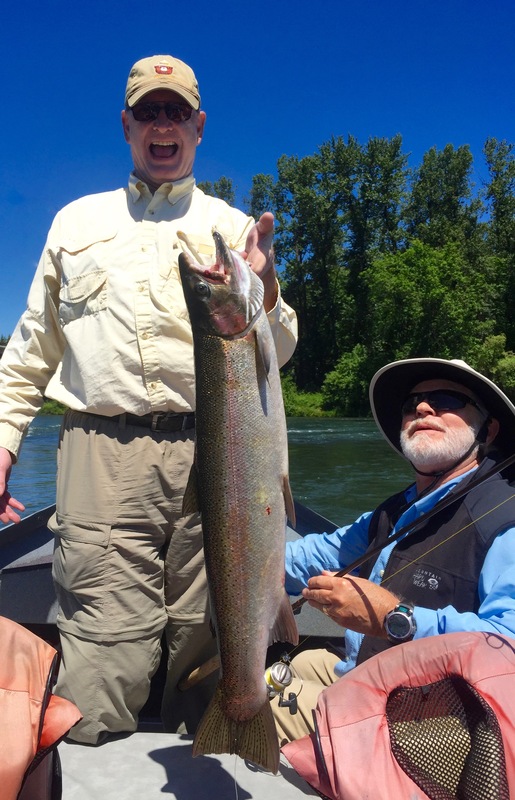 June Fishing: Bright and Brassy! June fishing has been very good at times, with mild temperatures and cool water conditions. 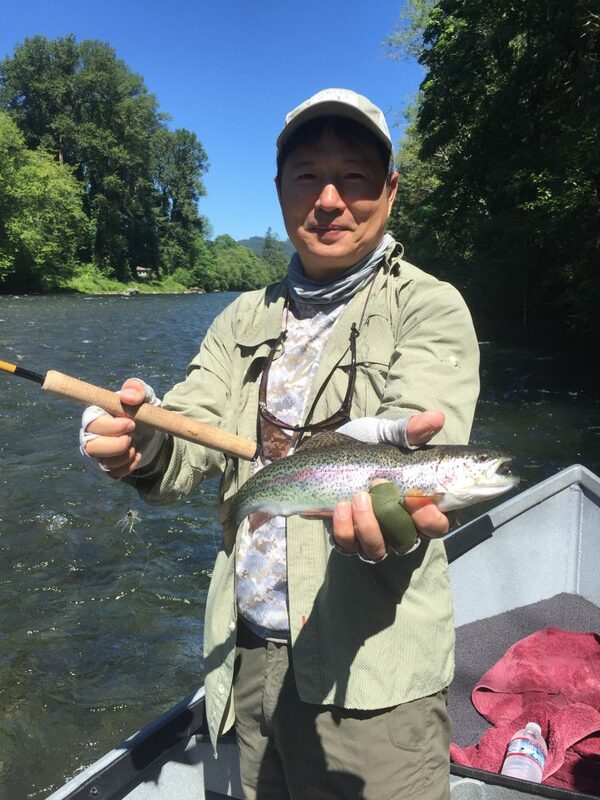 Over on the McKenzie, the “breadside” trout fishing has been excellent, with action galore throughout the day. 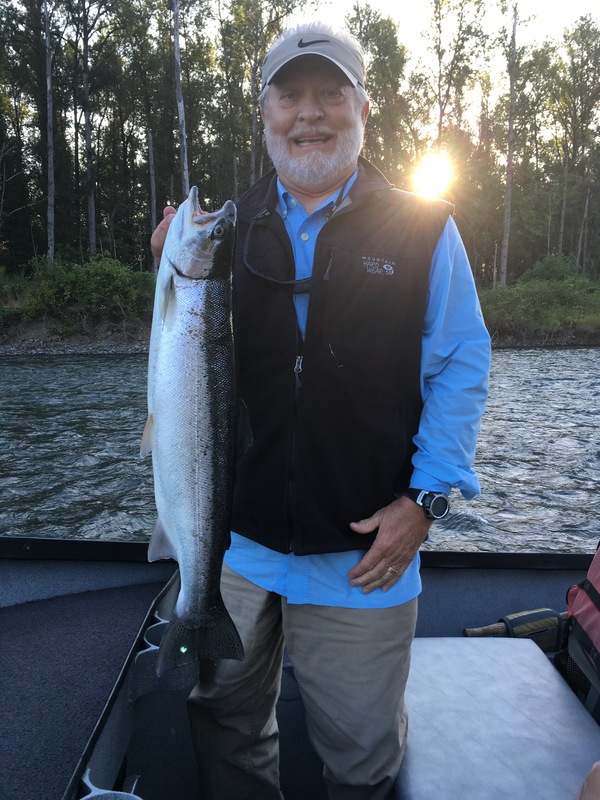 In addition to the trout, the summer steelhead and spring chinook salmon are back in good numbers. 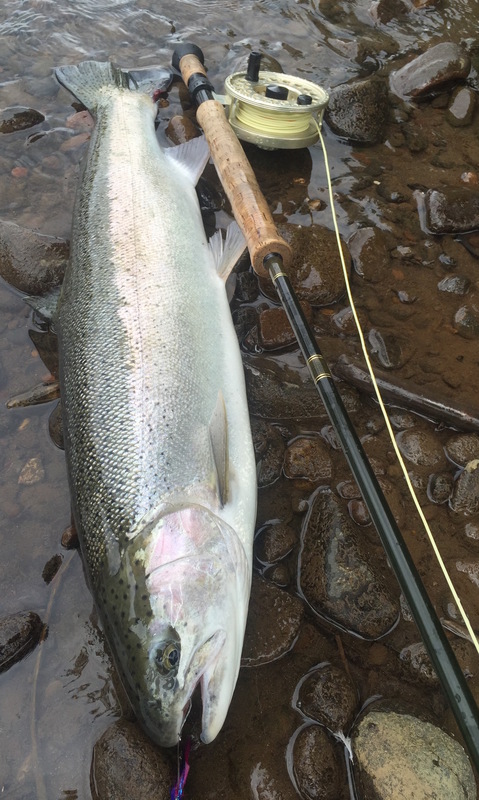 As is typical this time of year, success has been hit and miss, with bright and brassy weather and lots of angler effort out there this early in the run. But every fish landed is a true trophy! 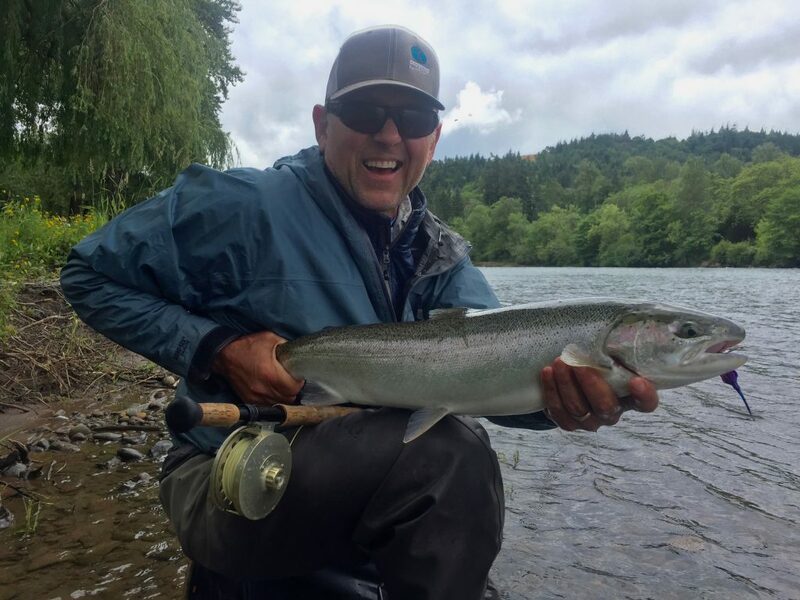 After last year’s low warm water debacle, the 2016 summer steelhead return is looking great in the upper Willamette Basin. 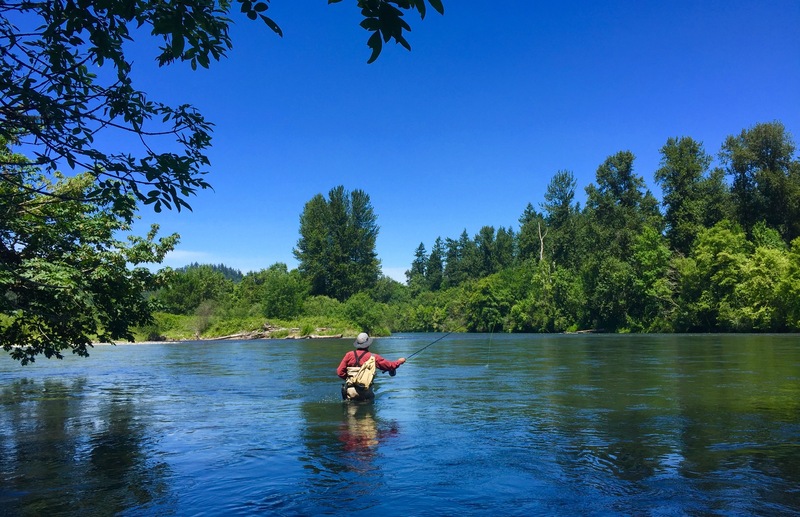 As of mid-June the summer count has already topped 10,000 fish, and we are seeing about 300/day ascending Willamette Falls fish ladders. 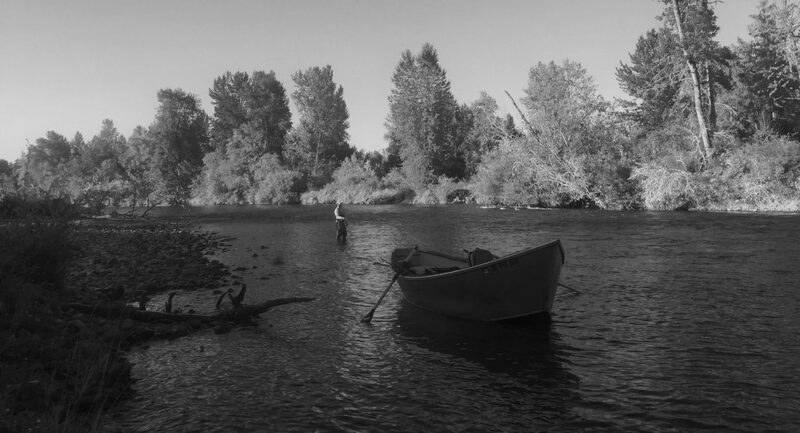 All signs point to a solid season of swinging on the local waters. We still have many prime dates available including some select openings in the Prime Time Season of September and October. Don’t delay. Now is the time to save a spot on the calendar for a date with a chromer.